This eyewitness account of the beginning of WWI is engrossing and detailed. In his brief, engrossing eyewitness-to-history-style memoir, An Adventure in 1914, American lawyer T. Tileston Wells recounts his experience in Europe at the outbreak of World War I. His recollections are fleshed out and amplified for contemporary readers by way of an introduction and numerous historical notes by his great-grandson, Christopher Kelly. The duet begins with an introduction by Kelly, who ably captures life in the last golden days of the belle epoque and the interplay of tensions that led to war. Kelly also offers biographical details about his great-grandfather, including the enlivening fact that he was flirt, rumored to have had an affair with Queen Marie of Romania. Despite the gathering clouds of war, Europe in 1914 still drew Americans who had the time and the means to enjoy extended travel, Wells and his family among them. His memoir begins in mid-July, with the family preparing to depart for Austria and Switzerland after a two-week stay in Paris. This section of the book is uneventful, a recitation of destinations and scenery. The narrative becomes more interesting as the political tensions mount. Wells carefully notes the signs of impending war: massing troops in countries and cities that will oppose each other; crowded trains as travelers hurry back to their home countries; military bands playing long into the night. When hostilities break out, the narrative shifts to Wells’s difficulties getting his family back to the states. The tone throughout the book is impersonal, devoid of speculations or feelings about the unfolding events. For example, the family sets sail in a world at peace, but the war’s triggering event—the assassination of Austrian Archduke Franz Ferdinand and his wife—occurs just before they land in Europe. The memoir begins two weeks later, without comment on how this event affected the family or their plans. Characterization is similarly absent. Wells refers to members of his family simply as his wife, daughter, or son, rather than by their names. Interspersed with the memoir are numerous sidebars from Kelly. These range from moderately interesting to downright fascinating, especially a piece tracing the techniques of modern surveillance and spying to their WWI origins. Though set off within boxes, the sidebars can be distracting; they interrupt the text, and at times are themselves interrupted by additional information. The text includes a helpful time line, maps, and a suggested reading list. The book’s many color photographs are a high point. Pictures of the Tyrol region of Austria, grand old hotels and cafés, and trains and ocean liners build a detailed image of time and place. 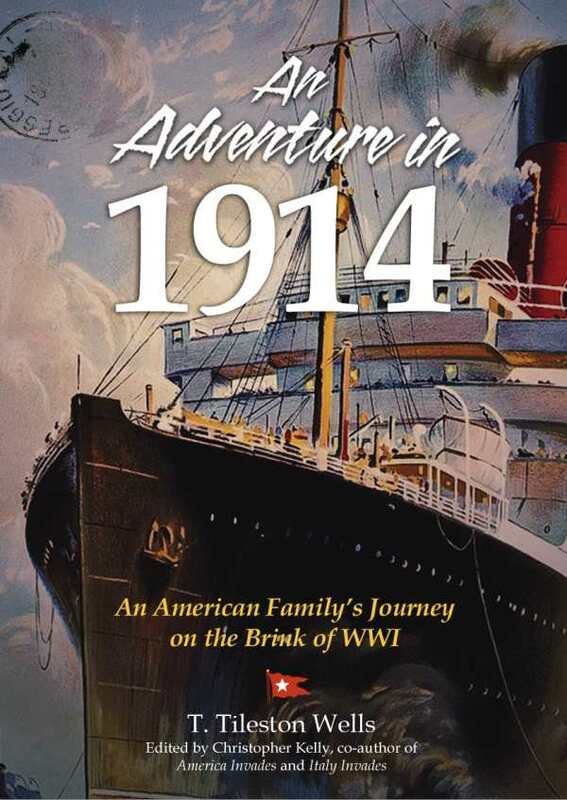 An Adventure in 1914 is a concise and vivid snapshot of an era and of events that have too often been overshadowed by more recent wars.